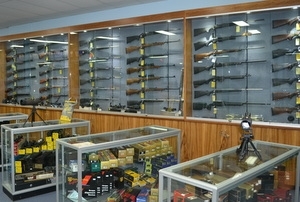 St Marys Indoor Shooting Centre is also home to a large and well stocked firearms dealership. Stocking products from leading firearm manufacturers including Beretta, Winchester, Walther, Ruger, CZ and Sako. Whether you are just starting out or adding to your existing collection our friendly and knowledgable staff will be able to help you choose the right firearm for you. The dealership also stocks a wide range of ammunition including Winchester, Federal and Remington brands. 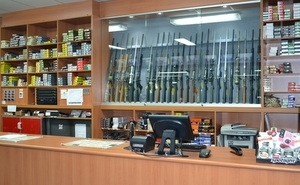 In addition to firearms and ammunition the shop also sells a wide range of knives, scopes, clothing, accessories as well as firearm safes that comply with all NSW Police Safe Storage requirements. Rifle lockers and pistol safes are available to hire (we currently have a waiting list in place for pistol safes). We have two secured areas, complete with CCTV, filled with safe storage lockers that have been approved by the NSW Police Commissioner. Access is only available to these areas by a KABA swipe card issued to locker holders. 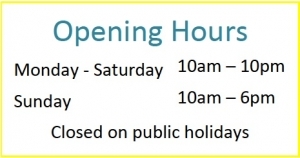 St Marys Indoor Shooting Centre is open from 10am - 10pm Monday - Saturday and 10am - 6pm on Sunday (closed Public Holidays) so you will have great access in a convenient location. The cost is $35 per month or $350 for 12 months with a one off $20 KABA swipe card issue fee payable at the time of the initial hire. Customers hiring a rifle safe must provide a 40mm padlock to secure their safe. Customers hiring a pistol safe will require an individual pistol safe lock. These locks are purchased from the centre for a cost of $54.00 at the time of hire. St Marys Indoor Shooting Centre also offer Dealership Storage (conditions apply). Please contact the Range on 02 8889 0406 if you would like more information about safe storage at St Marys Indoor Shooting Centre.